We’re so happy to welcome New York Times bestselling and Anthony and Agatha Award-nominated author, Sheila Connolly, today! Her most recent book, Scandal in Skibbereen (County Cork Mystery #2), debuted at #11 on the New York Times Paperback Bestsellers list. Woohoo! Sheila has offered to send a signed copy of Scandal in Skibbereen to one lucky commenter (details at the end of this post). Welcome, Sheila! Thank you all for inviting me to join you today. When I first started writing seriously, more than a decade ago, I was living in someone else’s house in Massachusetts while my daughter stayed in Pennsylvania with my husband so she could finish high school. We knew we’d be moving to Massachusetts in a few months for my husband’s job (and luckily our daughter ended up attending college in the same state), so I was the advance scout. I had found a job in Boston, and I volunteered to house-sit for a college classmate so I could check out areas where we could afford a house. I lost the job, but stayed on in the house-sit (and, yes, found a house). It was the perfect situation for a writer: a large, nicely furnished house on a wooded lot on a cul de sac in an upscale community west of Boston. I found myself staring out the window at grazing deer no more than ten feet away. The kitchen had an indoor grill. And the place came with a weekly cleaning lady! All I had to do was sit and write without interruptions or distractions. Virginia Woolf’s phrase “a room of one’s own” kept running through my head: I had one, and I was going to make good use of it. So write I did, with a vengeance. I couldn’t stop myself. I was going to show everybody—my family, the jerk of a boss who’d let me go unexpectedly—that I really could do this thing. I poured out tens, maybe even hundreds of thousands of words. Not that they were all good ones (I still had a lot to learn about plotting, pacing, character development, and most of all, editing), but they were written. One completed book was good enough to land me my first agent, although the less said about him the better. (I don’t think he’s still in business, and it’s clear why.) I joined writers groups, I entered contests, and I just kept writing. I went to conferences, and I kept submitting to agents, and I finally connected with a good one. That was over ten years ago. Some of what I wrote then I’ve published (Relatively Dead, an e-book from Beyond the Page Publishing, draws a lot of its details from my house-sitting stint), and I’ve mined the good stuff for other books. I also spent time communing with the authors in Concord’s Sleepy Hollow Cemetery, where, as it happens, I own a cemetery plot. If you don’t know the site, there’s a section where the Alcotts, the Thoreaus, Nathaniel Hawthorn, and the Emersons are all clustered together in what is known as Author’s Ridge; my plot, bought in 1893 for my great-great-great-grandmother, is right down the hill from them. When I started submitting my first “real” book, I stopped by to visit those authors. As I climbed up the steps to their ridge, I thought I was going to say, “Help me sell this book.” But to my surprise, what came out of my mouth was, “Help me make this book good.” I think they were listening. In the time I spend working alone, I found the focus and the concentration to write full time, and I managed to hang onto it even while selling one house, buying another, packing up and shipping 18,000 pounds of stuff, and settling our daughter at college. I found then that I loved the heady process of creating worlds in my head and setting them down and sharing them with the world of readers. What’s your idea of the most ideal “room of one’s own”? GIVEAWAY! Comment on this post by noon EST on Friday, February 28th, and you’ll be entered to win a signed copy of Scandal in Skibbereen. Follow The Debutante Ball on Facebook and Twitter for extra entries—just mention that you did so in your comments. We’ll choose and contact the winner on Friday. Good luck! 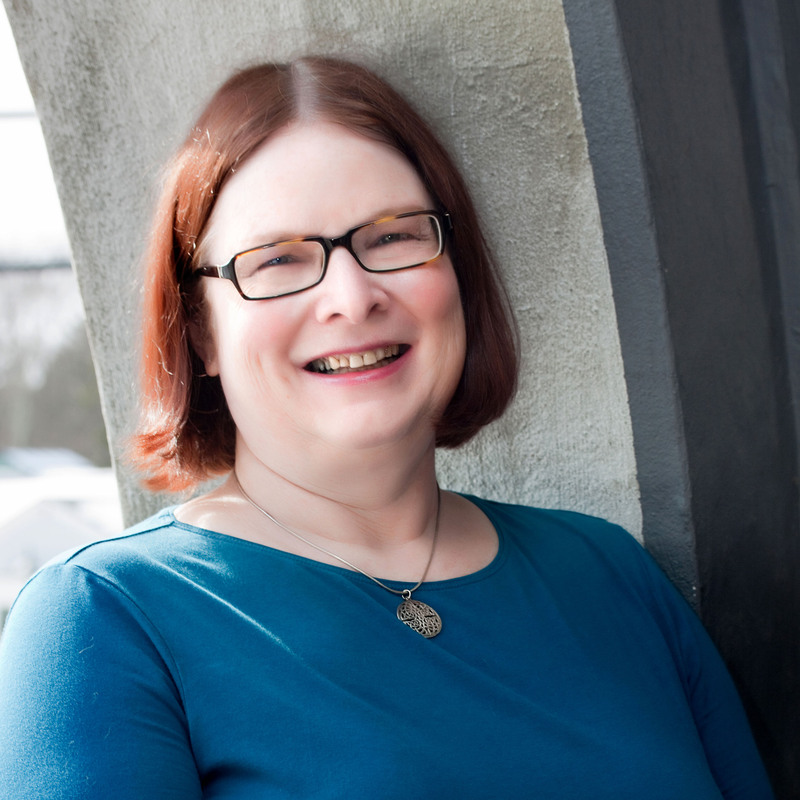 Sheila Connolly is the New York Times bestselling author and the Anthony and Agatha Award–nominated author of three cozy mystery series. Her bestselling Museum Mysteries are set in Philadelphia; her New York Times bestselling Orchard Mysteries take place in small town Massachusetts. 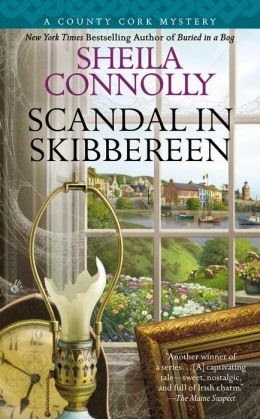 Scandal in Skibbereen (February 2014) is the second in her Ireland-based County Cork Mysteries, following New York Times bestselling Buried in a Bog. In 2013 she also published Relatively Dead, a paranormal romance, and Reunion with Death, a traditional mystery set in Tuscany. Yes, having a cleaning person was a real bonus. And I was awfully fond of that grill in the kitchen, which made clean-up easy. I hadn’t even known it was possible. I think being taken out of your comfort zone (that is, your usual home) gives you a new perspective, and kind of a jump-start. Thank you for sharing. I think it’s so important for aspiring authors to hear that, for most, there is no instant success. It’s a lot of hard work and sometimes there are bumps in the road like a bad agent or a manuscript that didn’t sell. A room of my own consists of three walls of books, a bookshelf full of crafts and needlework projects, a table for snacks and “creativity”. Now, I also need my I pad and a TV. Yep, I can do more than one thing at a time. That is unless my little “crafty” granddaughters sneak into Grammy’s room to make something with Grammy, or “please read us a book, Grammy”. Let’s face it, the grands are welcome everywhere!! Your books sound delightful. I’ll be checking them out. I’m really in the room-of-one’s-own loop right now. I do most of my work from cafes or the couch in the center of our household activity. We looked into expanding our attic so that we could move some things around, but it’s ridiculous expensive. So here I am on the couch! Thanks for joining us today, Sheila! That sounds like a dream, Sheila—and with a cleaning lady, too! My husband and I are hoping to buy our first house soon, so we’ve been looking at houses and I’ve been paying extra special attention to the room that would be my office. I want it to look and feel like a library—wall to wall bookshelves and a cozy chair with a blanket in a corner somewhere. That would be heavenly. What a wonderful opportunity to get started on your writing path! I can only imagine how wonderful (if frustrating, because of the job) that must have been. It’s also fabulous that you have a plot in Sleepy Hollow. I absolutely love that detail. Thanks for sharing – I love hearing about other authors’ journeys. Sleepy Hollow is a delightful place (as cemeteries go), but it is special to me because I first visited there with my mother and grandmother. My grandmother attended the last burial there, in the 1930s, so I am the last of that chain. Since there were several only children along the way, my sister and I inherited the plot. I borrowed my own family there for Relatively Dead. Another charming fact is that people leave offerings on Henry David Thoreau’s stone–coins, pencils (apparently his father was a pencil-maker) and such. People seem to like to feel connected somehow. So great to have you here at The Ball. Thank you for sharing your story with us. My ideal room is one filled with books, with a fireplace and a comfy chair (or couch), and a small table next to the chair with a cup of coffee.